Welcome back to Movie In A Blender where it's game over, man! Game over! For this spoiler filled episode I'm taking on Chernobyl Diaries. 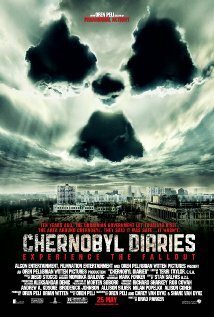 And trust me, this flick's so bad it's...radioactive. I couldn't avoid it but now you can. Listen to the entire review here. How could I forget! Although, does mercury really count as 'radioactive'? But for sure it was a mutant bear, good catch.